The bourbon drinking experience is about so much more than bourbon itself. The glassware, the ice, and even the ingredients that can be added to your drink can make all the difference. We have talked a little about the importance of good glassware, and showed you where to find some decent whiskey balls. Now, its time to delve into bitters. Bitters are an alcoholic beverage that is flavored with herbs, spices, oils, and other additives. Before the development of food and drug standards, “snake oil” salesmen would pedal bitters as patented medicines and herbal cures. While the jury is still out on their medicinal uses, bitters can be effectively used as digestifs. Bitters are extremely essential to any bourbon cocktail. In fact, the very definition of a cocktail includes bitters as a key ingredient. If you have yet to add any bitters to your home bar, here is a brief rundown of some of the best stuff currently on the market. This bitters is tangy and well, bitter. Therefore, it makes for the perfect aperitif when mixing fruity cocktails. Some great drinks you can mix with Old Time Aromatic Bitters include Pisco Sour, East India Cocktail, and a Horse’s Deck. At 39 percent alcohol, it is in the middle of the pack when it comes to bitters alcohol content. This bitters is made of water, alcohol (45.6 percent to be exact), gentian root, and vegetable extracts. However, the exact formula used to make Angostura bitters is extremely secretive. Many people describe the taste of Angostura bitters to be something akin to cloves. This type of bitters is used to make The Old Fashioned or The Manhattan. This is one of the lighter aperitifs on the list as it doesn’t contain any alcohol. San Pellegrino Chinotto bitters is made using a mixture of both fruit and herbs. Because of the infused fruits, it is one of the sweeter bitters on this list. San Pellegrino Chinotto can go well with a Boulevardier, which is a cocktail that requires an almost equal ratio of bourbon, bitters, and sweet vermouth. Fee Brothers is a line of bitters produced in New York since the 1950s. The company has a variety of bitters that will suit any bourbon connoisseur’s taste—-from bitter, to minty, to sour, to sweet. The alcohol content in Fee Brothers bitters is anywhere from 40 to 45 percent. This bitters (containing 45 percent alcohol) is made from herbs, roots, and bark so it is not particularly sweet in taste. The flavors are incredibly powerful and it is extremely hard to down if you do not mix it well with other ingredients for your cocktail. 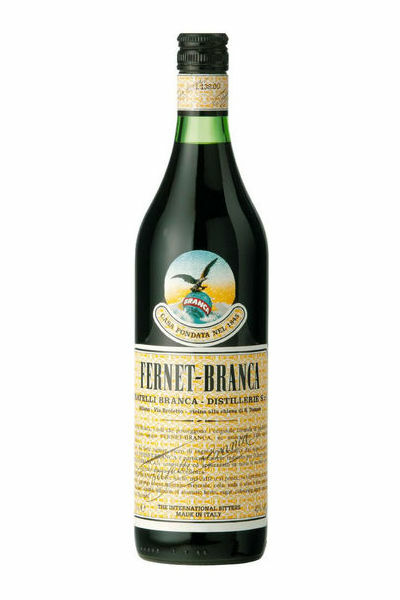 A great drink you can make with Fernet-Branca is called the Fanciulli cocktail. For this, you will need to mix sweet red vermouth with the bourbon and Frenet-Branca to diffuse the extremely intense and powerful taste. This is an extremely intense aperitif so it is best to use with a sweet base when making your cocktail. With 35% alcohol, Peychaud’s has a lighter (flowery) aroma and a much sweeter taste than Fermet-Branca. Peychaud’s is an extremely important bitters in any Sazerac drink. To make a Sazerac, you will need bourbon, Peychaud’s, a cube of sugar, and some absinthe. It is an extremely popular drink in Creole dominated New Orleans. Although Peychaud’s is sweet, the Sazerac has been known to be one of the more intense cocktails, tasting much like rye whiskey. Keep in mind that bitters can be used for much more than cocktail recipes. They can also be used to ease upset stomachs and in a wide variety of food recipes. All in all, if you can add one thing to your at-home collection to impress your guests and improve your experience, bitters would be it. 1. Most Fee Brothers Bitters are not alcohol based. They are made from glycerine instead. 2. San Pellegrino Chinotto is non alcoholic. It is a bitter soda that contains no alcohol. Thanks for the great input! There is so much information (and misinformation) flying around that its hard to sort out whats what. Thanks to our readers, we can keep BOD as accurate as possible. Great catches! I want to say that in addition to Fee’s having no ABV, they were around during prohibition, which is the standing reason why they are non-alcoholic. I’m currently re-reading on bitters. Hope you’re well!